Now, Matthews has moved into strengthening and has recently gone through his first post-surgery workout. While strengthening often begins within eight weeks of surgery for most people, Matthews—who is of great health and athleticism—began making moves within three weeks. The athlete is projected to return by December if he remains dedicated to rehabilitation. Achilles tendon injuries can be very painful. 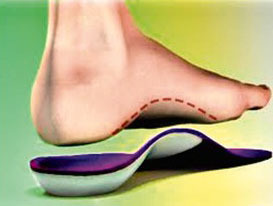 If you believe you are having problems with your Achilles tendon, consult with Dr. Ian Klein, D.P.M. of Florida. Dr. Klein can treat your foot and ankle needs. If you have any questions, please feel free to contact our office located in Saint Petersburg, FL. We offer the newest diagnostic and treatment technologies for all your foot and ankle needs. According to a new cardiology study, vigorous running over 7 mph, over 2.4 hours a week, more than three times a week can be as harmful as not exercising at all. Published in the Journal of American College of Cardiology, the paper suggests that there may be a point at which exertion becomes threatening and overrides the benefits of an active lifestyle. Some doctors are cautious of what the study may suggest. Maintaining a healthy weight and an active lifestyle can promote not only foot health, but overall health. To learn more, speak with Dr. Ian Klein, D.P.M. of Florida. Dr. Klein will provide you with quality podiatric care. Dry, cracked heels are not only unsightly, but they can also be a source of pain and embarrassment. When the fissures in your heel become so dry and cracked that bleeding or pain when walking occurs, it may be time to seek professional care from your podiatrist in Saint Petersburg, FL. Left untreated, heel fissures can become so deep and painful that it leads to an infection. When heels are severely cracked or painful and conservative treatments aren’t effective, visit our Saint Petersburg office. People with diabetes are at an especially high risk for health problems and should not wait to have dry feet cared for. Severely cracked heels need moisture to avoid pain, bleeding and infection. A podiatrist can work with you to relieve your cracked heels with conservative treatment options. Achilles tendon injuries can be very painful. If you believe you are having problems with your Achilles tendon, consult with Dr. Tae-Jun Ahn of United Foot and Ankle Surgeons. Dr. Ahn can treat your foot and ankle needs. If you have any questions, please contact one of our offices in Chicago and Niles, IL. We offer the newest diagnostic and treatment technologies for all your foot care needs. Many foot conditions such as plantar fasciitis, gout, and cramping come from a lack of corrective exercise. 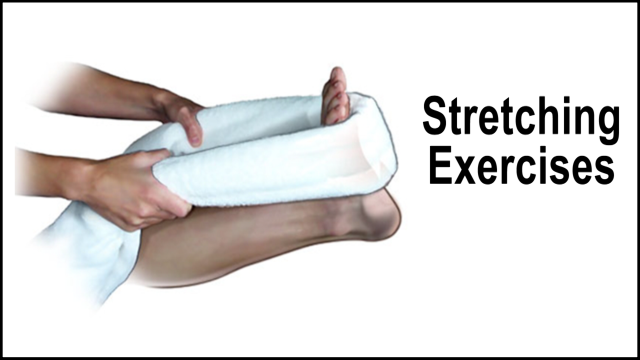 Stretching is one of the simplest and most effective ways to exercise the feet. The expanding and contracting of muscle fibers during stretching creates a pumping effect that brings lymph and blood flow to and from tissues, allowing for better circulation and providing less room for potential illness and pain. Interrupting this pumping effect increases the chance for possible health concerns. Stretching the feet is an important part of maintaining optimal foot health. To learn more, consult with Dr. Ian Klein, D.P.M. of Florida. Dr. Klein will attend to all of your foot and ankle needs. According to a recent study conducted by physicist Cyril Rauch, there’s a science as to why ingrown toenails are more likely to occur on big toes. When nails grow too quickly or slowly, stresses on the nail occur changing the nail’s natural curvature causing cuts into the skin near the nail. The study also found that pregnant women and children, those with a large share of growth hormones in their body, are more susceptible to the condition. Pedicures have also been known to increase the chances of an ingrown toenail occurring due to the process of flattening the nail bed. Ingrown toenails can become painful if they are left unattended. To learn more, consult with Dr. Ian Klein, D.P.M. of Florida. Dr. Klein will provide you with quality foot and ankle treatment. During pregnancy many women experience swelling of the feet, ankles, and other parts of the body; this swelling is known as edema or the buildup of the fluid inside of the tissues. Bold Sky has come up with a few ways to reduce swelling to make pregnancy a little bit easier. The consumption of salt is known to cause fluid retention in the body so drinking a lot of water and cutting down on salt intake will aid in the reduction of edema. When possible, rest your legs on an area that will make them higher than your waist when lying down. This will help stimulate the blood flow in the legs in feet. Try avoiding heat or adding a cold compress to the mix for added comfort and swelling reduction. Pregnant women with swollen feet can be treated with a variety of different methods that are readily available. For more information about other cures for swollen feet during pregnancy, speak to Dr. Tae-Jun Ahn of United Foot and Ankle Surgeons. Dr. Ahn will assist you with all of your foot and ankle concerns and answer any of your related questions. 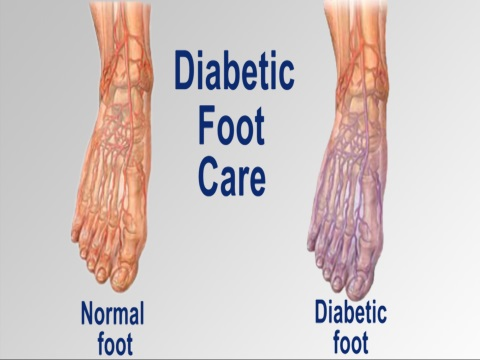 Diabetics must pay special attention to their feet to help prevent infection. If you are diabetic and have any concerns, see Dr. Ian Klein, D.P.M. of Florida. Dr. Klein will treat your diabetic feet. If you are experiencing pain in the feet or ankles, don’t join the stubborn majority refusing treatment. Seek the assistance of Dr. Ian Klein, D.P.M. of Florida. Dr. Klein will provide the care you need to keep you pain free and on your feet. The summertime is a great time to show off your new sandals and allow your feet to breathe. But since the warmer months can be rough on your feet, it's important to give your feet a little extra care to keep them looking great and feeling healthy. Here are a few tips from 7331 Dr. M.L. King Jr. St. N for keeping your feet in tip-top shape during the summer. Coupled with good foot hygiene, you can also prevent toenail fungus by alternating your shoes. And if you suspect a fungus infected nail, visit 7331 Dr. M.L. King Jr. St. N right away for early treatment. Following these easy steps during the summer months can go a long way in keeping your feet looking and feeling their very best. Inspect your feet daily, and if you encounter any unusual foot problems or experience pain, contact our Saint Petersburg office for a thorough evaluation. Blisters form due to the rupturing of cell tissue and the release of plasma, or the fluid inside a blister, creating a thin layer of skin around the plasma to prevent infection. Popping a blister means risking infection, while keeping a blister intact means it must be protected. Blisters should only be popped if they are large enough to disrupt your regular exercises or physical activities, using a sterilized needle in alcohol. Blisters that are painful, oozing pus and red around the edges should be seen by a doctor, as they might be infected. 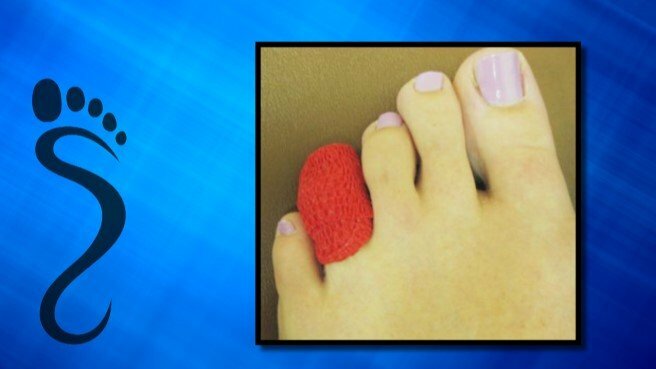 A covered blister should have its dressing removed nightly to be soaked in water and then air-dried. Any itches or burns can be eased with hemorrhoid cream. Reducing friction in the area can help prevent blisters; double-layer socks and petroleum jelly can help do this. 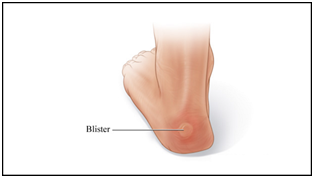 Untreated blisters can worsen and make mobility extremely difficult and painful. For quality blister treatment, see Dr. Ian Klein, D.P.M. of Florida. Dr. Klein will attend to all of your foot and ankle needs and answer any of your related questions. If left untreated, arthritis of the feet can be very painful. If painful arthritis has been troubling you, consult with podiatrist Dr. Ian Klein, D.P.M. of Florida. Dr. Klein will provide you with quality foot and ankle treatment and alleviate your joint pain. Winter is a season in which the feet are often neglected, as the feet are usually kept wrapped up in shoes. This makes winter foot care especially important. Keeping the feet healthy during the colder months is easy, however, with a few simple tips. Moisturizing the feet is one of the most important measures one can take to keep the feet looking fresh and healthy. Wearing thick shoes and thick socks during the winter is important to keep them protected from harsh temperatures, and can go a long way towards foot health. Pedicures and hot water treatments can help relax tense and weathered feet, while drinking plenty of water will help keep the skin hydrated. Regardless of season or weather, everyday foot care should be practiced year round. For more information about everyday foot care, consult with Dr. Ian Klein, D.P.M. of Florida. Dr. Klein will provide you with the foot- and ankle information you seek. Never ignore the natural changes that aging brings. Since feet are referred to as the “mirror of health,” podiatrists are often times the first to identify signs of systemic diseases, such as diabetes and arthritis. Regular visits to our Saint Petersburg, FL office can help prevent foot problems and alleviate pain to keep you active for life.